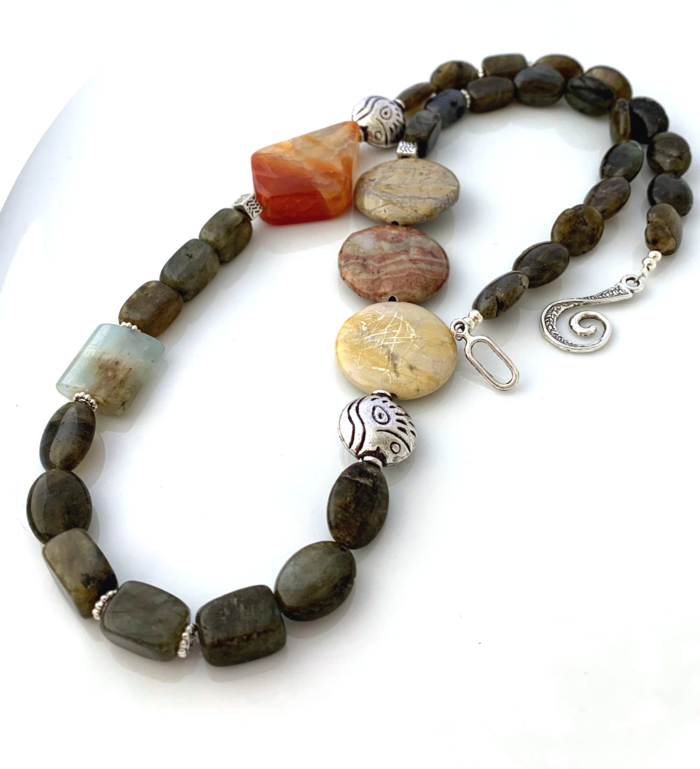 Natural Iridiscent LABRADORITE, JASPER and CARNELIAN Rustic-Chic Necklace. 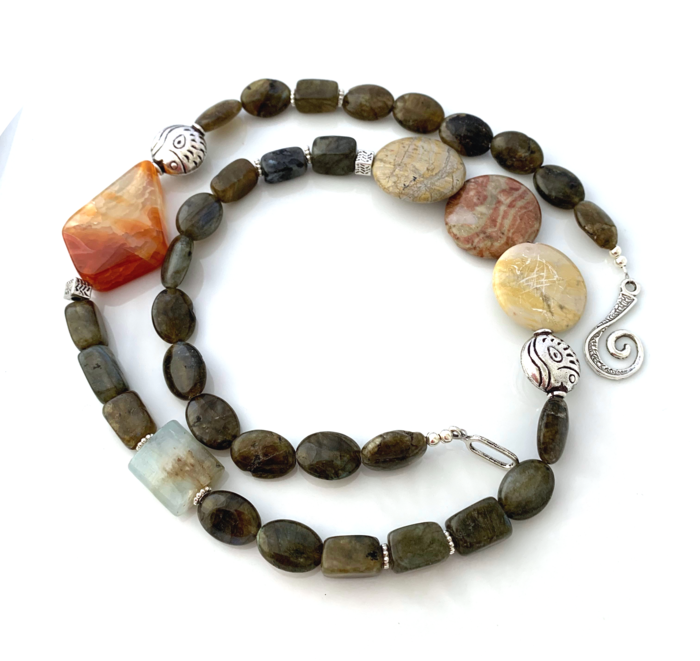 One-of-a-kind necklace with 5 geometric shapes of natural gemstones, handcrafted with care & love. The oval, rectangular labradorite gems are natural and some reflects iridiscence. 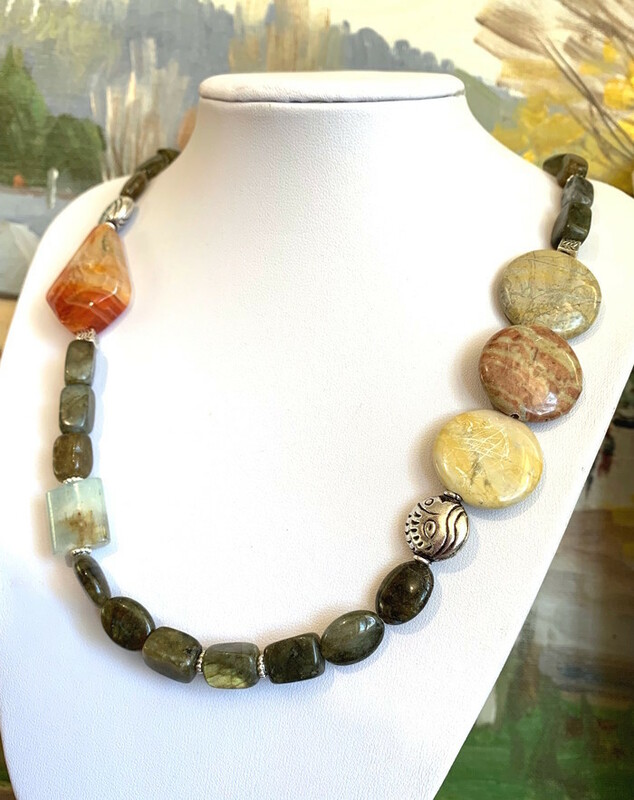 The coin shape stones with earthy tones are jaspers. 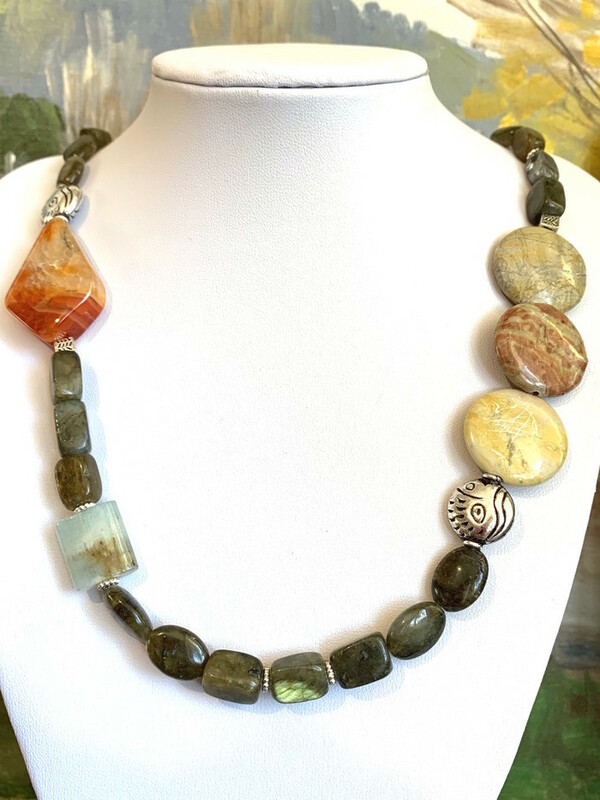 The rectangular pale-calm blue is natural Amazonite and the semi-triangular bright orange stone is natural Carnelian. Hardness: 4.5 - 5 Mohs Scale.